Here the Buy call is to hold the stock until the Guppy Countback trailing stop loss holds. 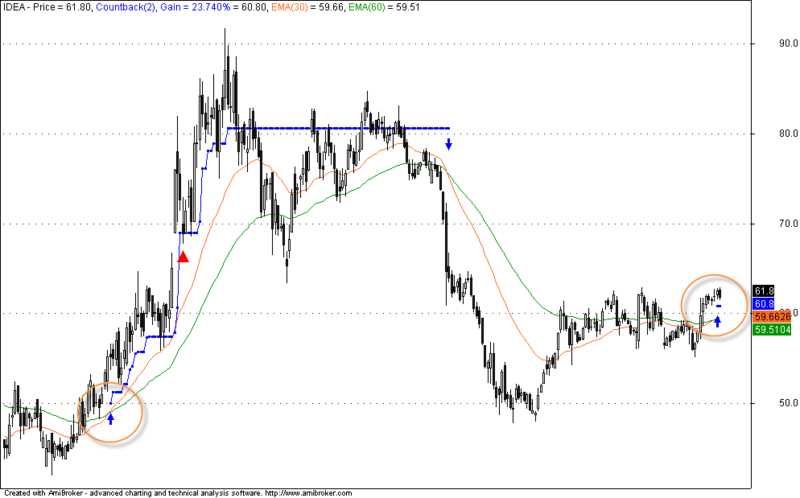 Trailing Stop loss will be actively monitored here. If possible charts will be posted here in this same thread as comments are image enabled. Yes stop loss on EOD is 60.80. Its a hold until the stop loss hits on EOD basis. Please tell me where i will get trin and rsi2. It was avalilable in your earlier bolg site. But you have not added it to your new site.